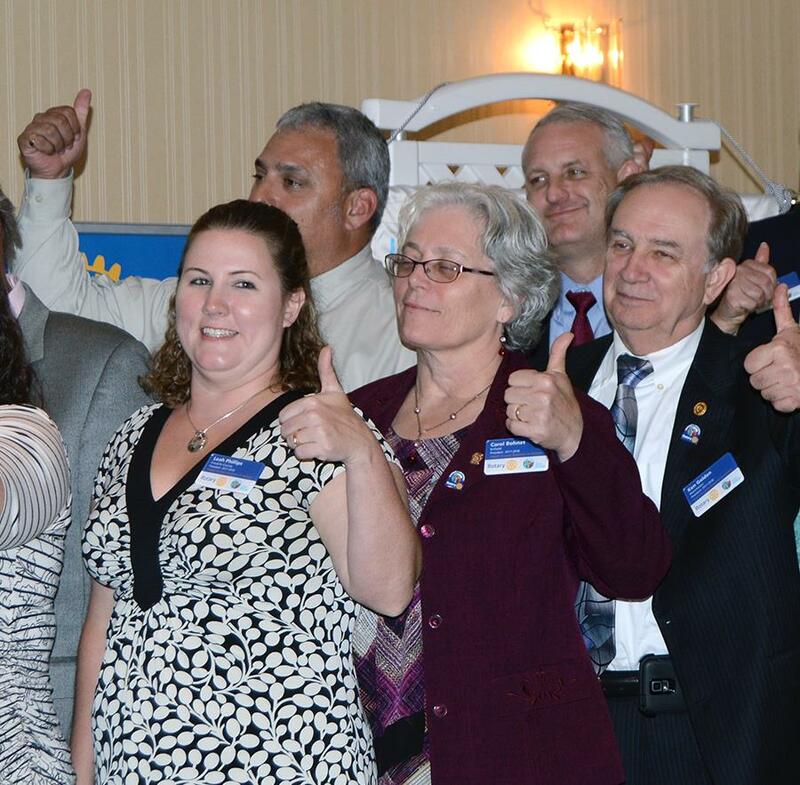 Congratulations to incoming Enfield Rotary Club President Carol Bohnet, who was officially installed along with 59 other District 7890 Presidents at a banquet in South Windsor on June 22. Carol's year officially begins July 1. 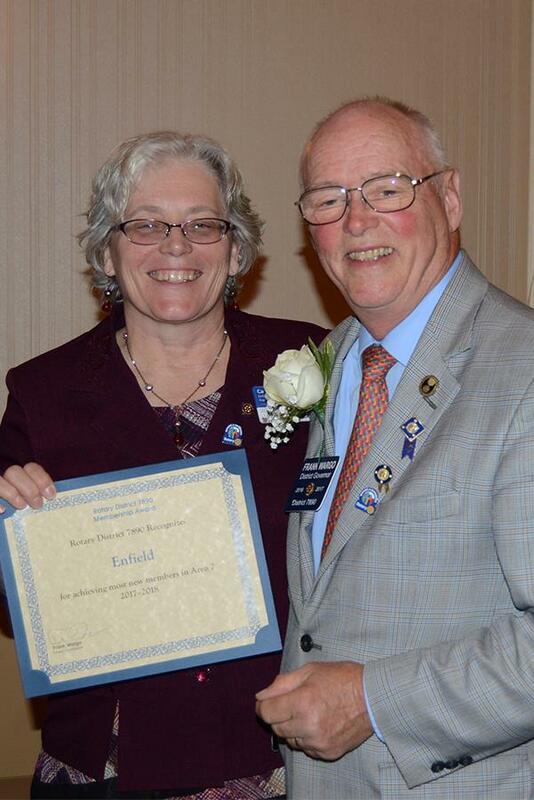 Prior to taking the oath of office, Carol accepted an award from outgoing District Governor Frank Wargo on behalf of Enfield President Kevin Mayo. The certificate recognizes the Enfield club's efforts to welcome four new Rotarians in 2016-17, which was the most in Area 7.